Today I am with Mahathir! I wrote that in August 2009 – seven years ago. What happened then is now all water under the bridge. Those involved in the matter are already out of my life for over twenty years…and I guess we are all the better for it. The thing I have wanted to do these last few weeks is to write about Mahathir from my heart for I know that most of the “things wrong with Mahathir” has not been his doing. If people abuse the trust he places in them, you can say that Mahathir is a bad judge of character, but Mahathir cannot be expected to carry the burden of what these people have done wrong all his life. I am 69. I have to pace myself in everything that I do if I am to last the day without a headache, a backache, a recurrence of my Hernia and countless other trials and tribulations that anyone over 60 has experience. I sit if I do not have to stand. I do not sit if I can lie down and if I am watching even my favorite UFC program, if I so much as feel tired or sleepy…I switch off the TV and go to sleep. I will not push my physical and mental self beyond the limits I know it cannot endure. Tun Dr Mahathir is 91. No one in Cabinet is 91. No one working in the PMO or in the vicinity of the PMO in Putrajaya is 91. From memory, there is no MP, no working politician and no public figure of note, who is 91. And yet, if anyone can rid us of this corrupt prime minister, this sad sad excuse of a once great political party call Umno, and chase BN out of government – it has to be this 91 year old warrior, whom some with much affection call the good doctor. And yet there are some amongst you who demand that Mahathir should first repent for the wrongs he has done in the past. That Mahathir should apologise for the mistakes he had made while in Public Office. That Mahathir, at 91 has a hidden agenda in once again involving himself in politics – namely to make Mukhriz, his son, prime minister of Malaysia. That Mahatir is more corrupt, more an exponent of money politics than Najib or anyone else in politics. That Mahathir is to be blamed for the troubles and the terrible state of the nation today for he, above everybody else has lived by the creed “that the end justifies the means” and all Najib and Umno are now doing is to survive politically – and given the times that we live in, Najib and Umno’s creed has to be “Cash is King!”. The man is 91, he has all the money he would need to lead any kind of life that he wants between now and the time he leaves for the big hunting ground in the sky. All his children are rich beyond their’s and our dreams. I think his house is paid for. His car is paid for. I doubt if he owes any bank or any financial institution anything….and if any of us is in that situation, age 91, what will we do? Anything but what the good doctor is now doing! And yet this 91 year old man is fighting our battle for us! Effectively Tun Mahathir has taken the fight to Najib, to Umno and to BN and today we all know that if at the last election the opposition garnered over 51% of the votes….this time around with Mahathir, Anwar, Mahyuddin, Kit Siang and, hopefully, a united opposition, victory is certain. But first, we must make sure that the next general election is clean and fair. So our fight now is to have a fair and free election when the next federal election is due. 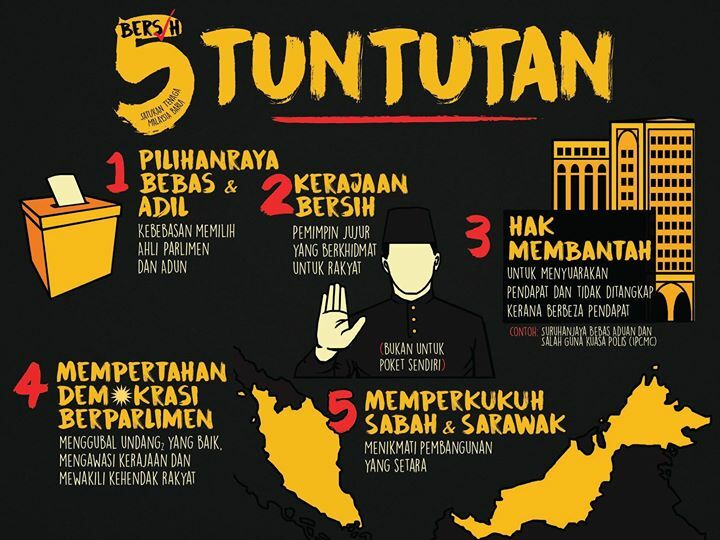 Hence Bersih 5…and Mahathir is in the thick of it all….at 91! Cut the old man some slack lah! Without Mahathir …and the others of course……Najib, Umno and BN would be cruising towards another five years in government come the next election. Without Mahathir and the others, there will be no fear, no panic and no desperation within Seri Perdana, the PMO, Umno, BN as they all contemplate their irreversible and inevitable defeat at the ballot box come the next general election. There is Fear amongst them all thinking about what punishment will be meted upon them for their corrupt ways. Panic at the thought of losing all that they have amassed from their corrupt ways and dread at spending time behind bars for their many crimes against the people and against the nation. And desperation as they try to grasp on to political power in any way they can. They do not want to go to jail. Najib does not want to go to jail. Rosmah does not want to go to jail. No one in BN or Umno wants to go to jail and yet if there is a clean and fair election, they will all go to jail! 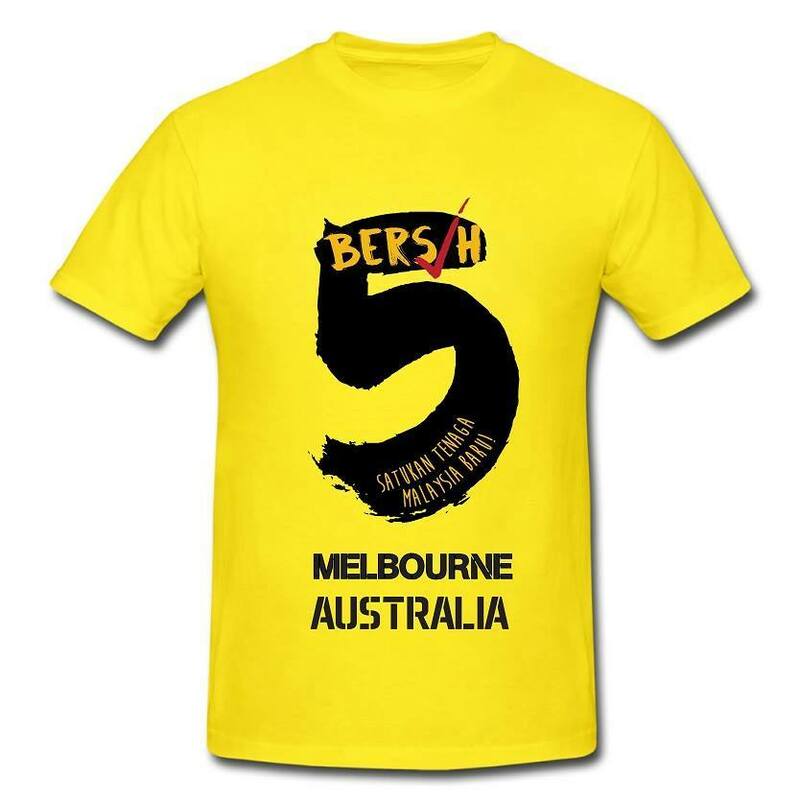 So the fight now is to have that fair and clean election – the one Bersih is now fighting for! Mahathir knows this and he is there up front trying to make that happen for us. Not for him but for us. For the opposition. For Anwar Ibrahim, for Kit Siang …for all of us that is not with BN or Umno. Again I repeat…not for himself but for us! So do not question his commitment to doing this. Forgive but do not forget the past…for now Lawan Mesti Lawan…and the Old Man is our warrior who will lead us to do just that. Tabek Tun. A grateful people and a grateful nation will not forget your work. And now onwards to Bersih 5! By Hussein Abdul Hamid|2018-07-14T06:15:25+08:00November 18th, 2016|Categories: Uncategorized|Tags: Bersih, free and fair elections, Mahathir|Comments Off on Today I am with Mahathir!